Besides all the jitters and pressure surrounding a job interview, picking out the right interview outfit is also equally nerve-racking. We all know that first impressions count and can play a big role in determining our success at impressing the interviewer, so the emphasis on nailing our interview outfit is well founded. Besides, we could all use an extra dose of confidence, and well, you know what they say: You have to look your best to feel your best. Mic drop. Industry by industry, we break down the style guidelines and tips in order for you to put together an outfit that’s both appropriate and impactful. When interviewing for positions in the corporate industry, it’s best to look polished and pulled together in neutral hues. It’s key not to include anything that would take the attention away from you, such as garish colours, loud prints and large statement accessories. You’d also want to lean closer on the conservative side of dressing; well-tailored dress pants and immaculate powersuits will do the trick in establishing a prim and sharp appearance. Long story short: Suit up! Though comparatively more informal as compared to other industries, dressing for an interview in the creative industry still requires a certain degree of formality, which can be easily achieved by balancing creativity and a sense of flexibility with professionalism. 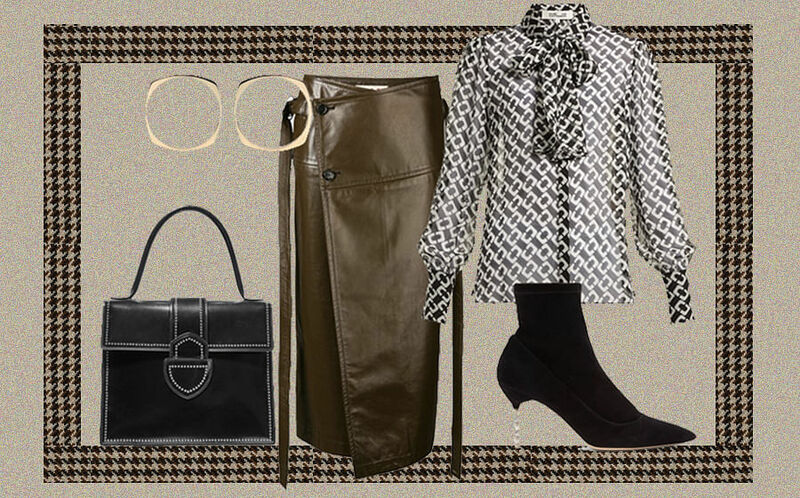 You could opt for a pair of tailored trousers and anchor it with sneakers and a printed blouse. Or, an outstanding colourblock dress-and-denim-jacket combo. Always try and let your personality shine through in your outfit choices, before reeling it back in a notch by subduing strong colours with neutral hues or going for just one statement piece (such as a top with an interesting silhouette) in the entire outfit to make a lasting impression. A good rule of thumb, and this applies to every job, is to always dress a notch up in the formality scale as compared to everyone else in the office. So even though it’s been said that the bosses of some tech companies may veer towards a more casual and laidback style, you’d really want to stay on the safe side of things with an outfit that’s at least semi-professional. Think: Young and creative, but not sloppy. 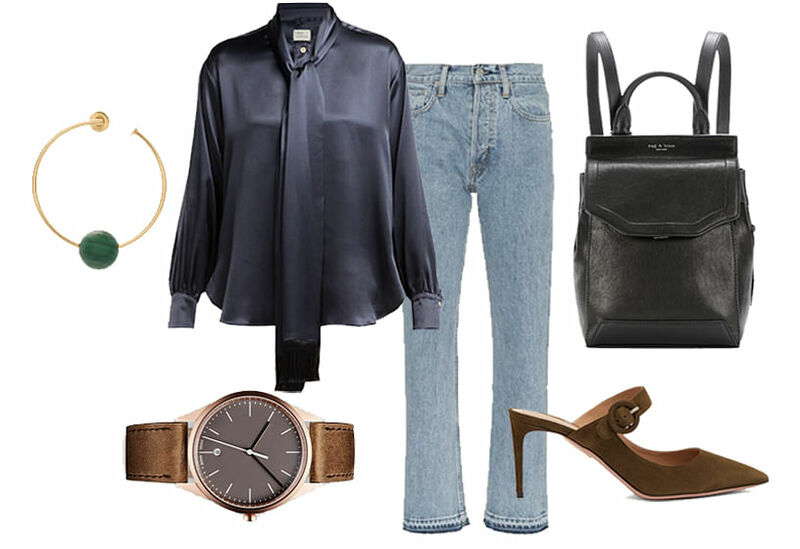 A great go-to would be a chic silk blouse, a pair of jeans and comfortable slip-ons such as mules or flats. When you’re interviewing for a job that requires face-to-face interaction with clients, it’s important to note that you’re also selling your appearance; so your goal here is to dress in a way that allows the interviewer to readily picture you in the role. 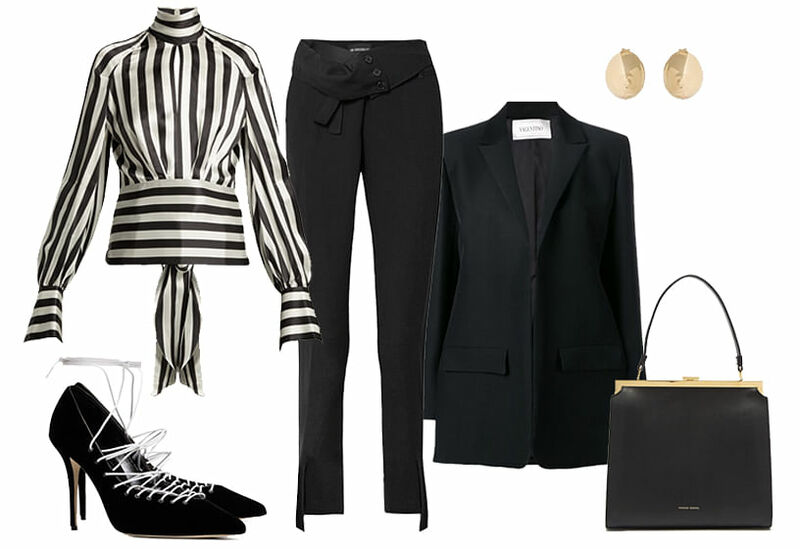 Stick to polished classics like a shift dress with a longer hemline, or a business casual ensemble with a T-shirt hidden tactfully underneath a blazer jacket, and a pair of relaxed-fit trousers. Opt for lighter hues and the colour blue – they’ve been said to give off an approachable, less intimidating look. Soft fabrics, such as wool, cashmere, or chiffon, and relaxed silhouettes can also boost your chances in appearing more amiable. Since most science-centric jobs such as doctors or lab technicians demand a lot of movement, it’s key that your interview outfit looks practical instead of high-maintenance. This means keeping accessorising and sky high heels to a minimum. You’d still want to look polished and professional, so that you’ll be taken seriously. 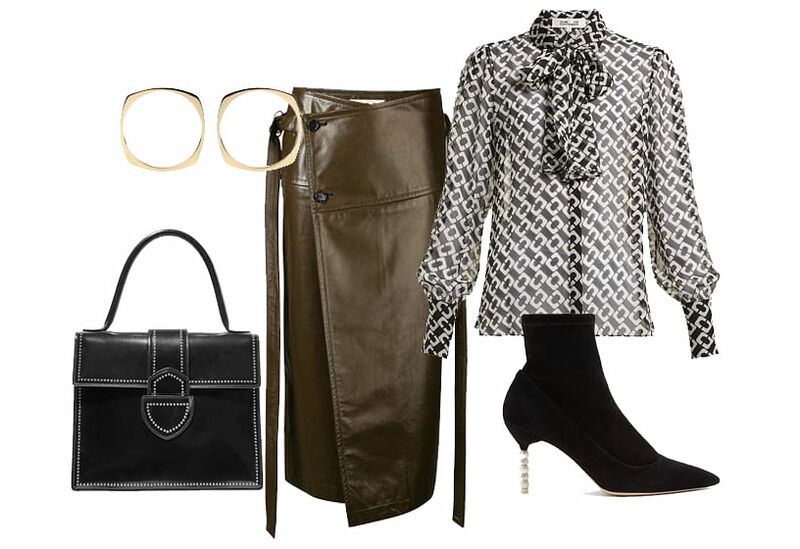 Opt for a mid-length blazer in traditional grey melange, and cinch the waist with a belt so you won’t look frumpy. 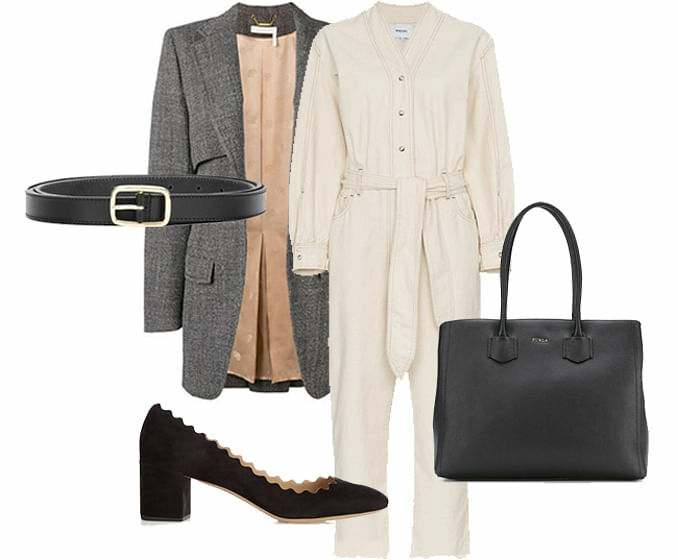 Underneath, either go for the classic dress shirt and pants combo, or switch things up with a chic jumpsuit. Getting one foot in the door by securing an interview in the engineering sector also means you have the tricky task of figuring out what to wear – which isn’t easy, considering how the dress code for engineers seems to dither on the casual-professional scale nowadays. It’s safe to assume that we can cast suits and briefcases out the window; you don’t want to look too buttoned-up and stiff. 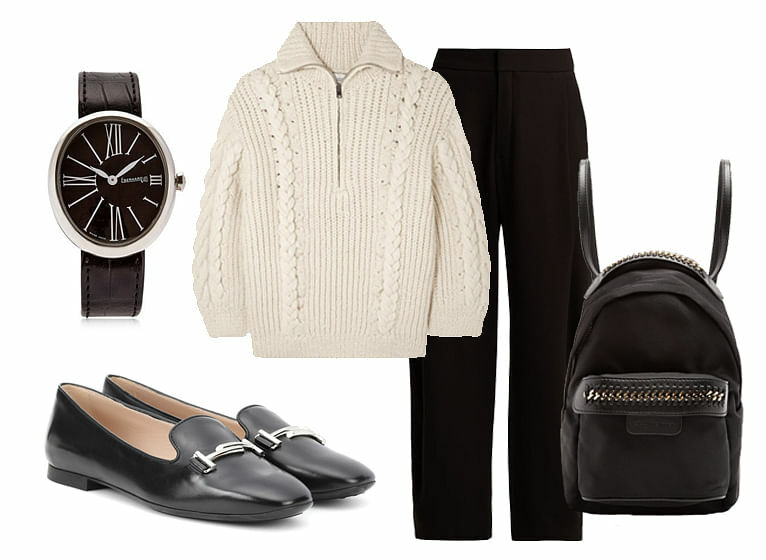 Instead, opt for a comfortable and smart sweater and tuck it into a pair of tailored dress pants to up the professional factor. Your outfit for a teaching interview has to show your understanding of the responsibility you hold in educating students. Showing the interviewer a good extent of your personality and student-friendliness is vital here, and you’d want them to be able to envision you in the classroom. 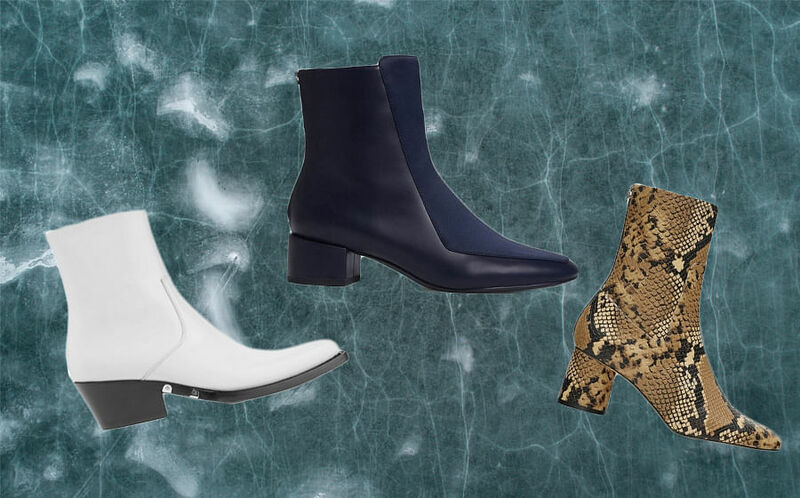 Ditch excessively high heels, and overly embellished pieces – these aren’t practical for the conservative environment of a school. Instead, go for knee-length dresses that aren’t too tight, pantsuits, or buttoned down tops with slacks. If you’re applying for a university-level position, spruce things up further by adopting a more formal look with a tailored jacket or skirtsuit. For those in the early childhood sector, incorporating bright colours and fun prints in small doses as an accent will help bolster a kid-friendly image. In general, there are some tried and true rules that come into play for all industries. This includes opting for the standard black, dark blue, white or neutral colours, making sure you press everything beforehand to get rid of wrinkles, avoiding open-toed footwear and choosing pieces that fit you immaculately. Avoid showing too much cleavage, and if you’re wearing a skirt, make sure it passes knee-length just to be safe.